Wanted to start a tread for just us Blazing Yellow Folks. I would love to see some pictures...I'm looking forward to enchancing my truck and to seeing what others have already had done. I haven't owned mine for a month yet, but I work in the biz, and get pretty good prices on the aftermarket stuff, so as you can imagine I plan on mod'n the hell out of it (mostly off-road stuff). I got lucky and got the bright polished aluminum running boards from the Factory (I've been told they are rare)! I've had the 3M put on the front of the hood, headlights and foglights, and also sprong for the paint protection. I hope to see those pics soon! whats psi did you set tires for sand/beach? I usually air down to 15psi for my (sold) jeep wrangler 35". GO BLAZING YELLOW!! Soon to be rare as it is not an offered color in 2005. I love my FX4 SCREW in BLAZING YELLOW! the space of a SuperCrew. were going to stop making the Blazing Yellow, I scooped mine up quick. you'll have to go to my gallery but I do want to say Our Yellow trucks are by far the best ones out there...(I could be biased) I wonder if there are more yellow STX's or FX4's? I'm going to guess Fx4's because is see more driving around..
Also am I the only Scab with 5.5' bed in yellow? Very nice truck! Yours looks just like mine...except for the shiny step rails. Mine are black. I have also added the Ford mud guards and a Ford drop-in bedliner. I figure if the drop-in liner messes up the bed, I can always have the spray-in liner done later. That spray-in liner will cover up anything! 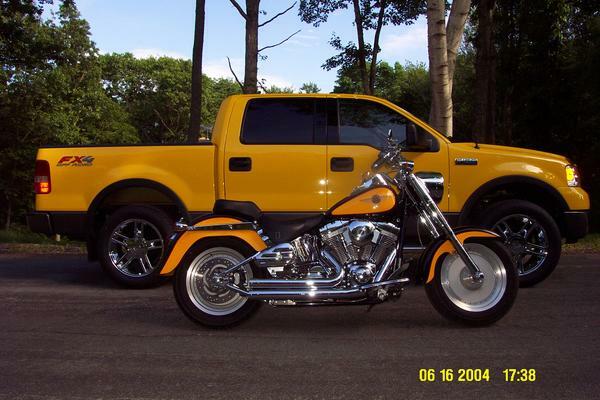 Since most of my cash has been going to my first love (riding my bike) I haven't been able to spend much on the truck. 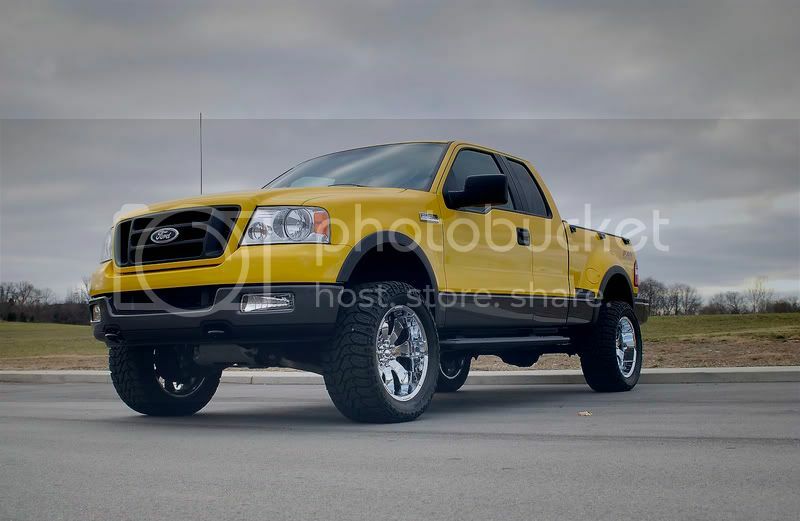 I want to put a black Westin Bull Bar on the front, larger tires, and a Daystar 2.5" levelling kit on the truck. Then, it will look good! Last edited by freekyFX4; 04-15-2009 at 07:37 PM. I didn't want to start a new thread for this, and I am not trying to hijack this one, but has anyone added the Black Door edge guards to their truck? I can't decide if I want them or not and was hoping to see a picture of them on a truck before I buy. I'm disappointed in how there are too many trucks exactly like mine. 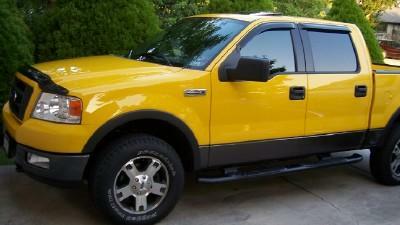 Blazing Yellow Supercab FX4's with the Flareside bed and a moonroof. It just makes me sick. I had rather spend $9.00 for door edge guards. Last edited by STXDriver; 05-11-2008 at 08:22 AM. 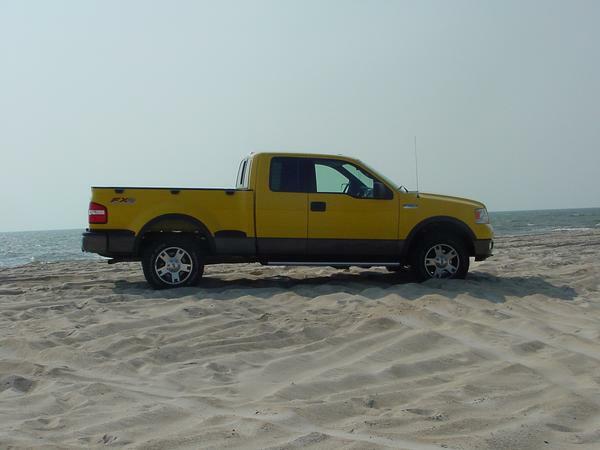 Although I really like my '04 F150 Blazing Yellow 2wd regular cab STX, I think I would have rather had your '03 Lightning. Last edited by STXDriver; 05-11-2008 at 08:23 AM. Thanks - those look good on your truck and $9.00 is pretty tough to beat. Yeah, I'm with you on that one. You have no idea on how much I regret trading her in now. I had the sucker running high 12's too. Anyways, I decided it was the best thing to do before the new Lightning came out so my current Lightning still had a decent resale value. Anyways, my new bike is feeding my need for speed now until the new Lightning comes out. Sounds just like mine! They build them the way people like them.